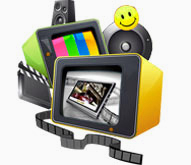 There are also useful editing functions accompanied with this DVD to MPEG Suite tool: adjust video effect by drag the item bar, crop video by dragging the frame, achieve any clips from DVD and video file, create watermark to your video, join several separated files or chapters into one file, snapshot your favorite picture, etc. Convert DVD to MPEG1, MPEG2, AVI, DivX, XviD, VOB, MPEG1 PS, MPEG2 PS and HD video for your PSP, PS3, Wii, Archos, ZEN Player, iRiver, Xbox, BlackBerry. 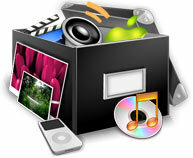 You can also extract audio from DVD and convert to AAC, MP3, WAV formats. Portable devices supported: Creative Zen series, BlackBerry Bold, BlackBerry Curver, Archos and justlike portable devices. Set the video Brightness, Contrast, Saturation to optimize the video effect and check "Deinterlacing" to convert interlaced video to the progressive video. Frame the video play region that you want to fit for your player with this MPEG converter suite. Use Watermark function to create perfect video with text or picture watermark. You can customize it by adjusting horizontal, vertical position and transparency. It is possible for you to capture your favorite picture by pressing "Snapshot" button and check "merge into one" to form a successive file. Support setting subtitle, audio track, video Encoder, Resolution, Frame Rate, Video Bitrate, audio Encoder, Sample Rate, Channel, Audio Bitrate etc. 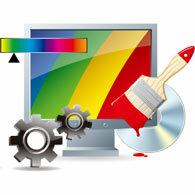 4Easysoft DVD to MPEG Suite offers you the chance of selecting audio track and subtitle according to your need. 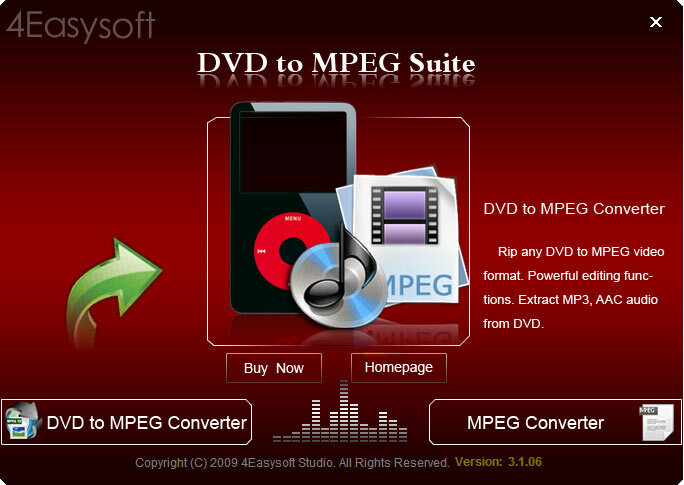 Powerful and easy-to-use interface of 4Easysoft DVD to MPEG Suite make everybody master it quickly and rip with high quality and surprising speed. Customize your video by applying text or picture watermark. Abundant output formats from one source file with just one conversion.